I’ve been to see the Tour de France twice with Outfitter Bicycle Tours, and it is hard to imagine a better place to ride a bike than France. The main advantage of riding with Outfitter is the ability to create your own itinerary, even in the middle of the world’s largest bike race. The plan for our 2011 tour that year was to watch the penultimate stage, a time trial, in Grenoble. Most planned to ride to the race from our hotel in the alps, watch the race, and then hop in the sag cars and head for our next overnight in Albertville. I was still buzzing from riding the Madeleine, the Telegraphe, Galibier, and (of course) Alpe d’Huez and had a few more climbing meters left in the legs. 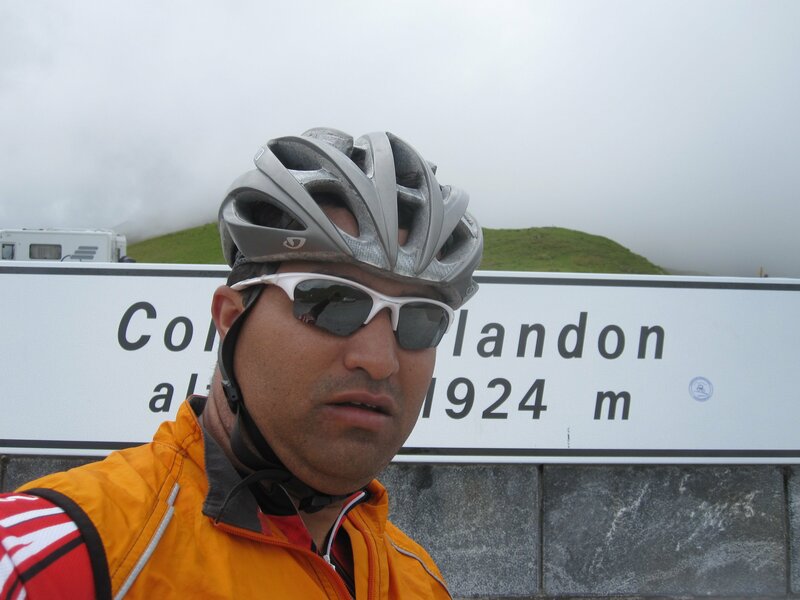 I came up with the idea of splitting off from the group, riding over the Col du Glandon, and meeting up with everyone in Albertville. It looked do-able on the map, and Jamie helped set me up with a route. What a ride! 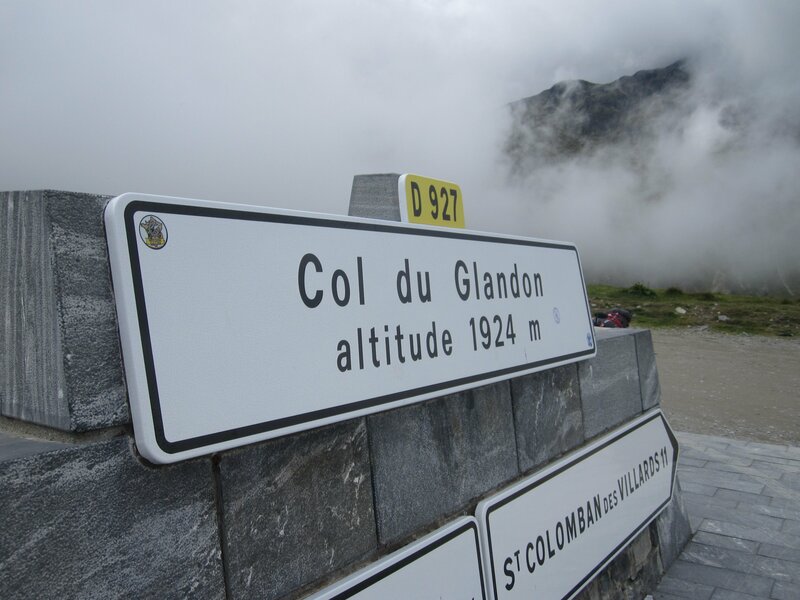 It started with a nearly effortless descent down to Borg-d’Oisans and then you start the long valley climb up the Glandon. With the entire world focused on a bike race in the other direction, I had the road to myself. Outfitter’s support car caught up with me and I ditched my unneeded rain jacket and filled the water bottles, and then it was just me, the climb, and the motivation of the cowbells provided by, well, the cows. Woot! At the top of the Glandon! The Glandon isn’t a bunch of switchbacks like what I’d mostly seen in the alps, it follows a valley up the L’Eau d’Olle river. It’s tough because the road keeps going up and it never really turns, so it just seems endless. I’m not a great climber, but I keep turning the cranks until I get there. There’s a restaurant near the summit where I stopped for lunch and then finished off the climb and took the obligatory selfie at the summit. 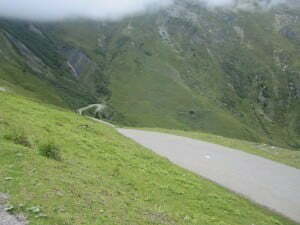 The road then FALLS away for the descent to La Chambre. At one point rolling into a hairpin, I realized I was looking down (DOWN) on an eagle. That view remains one of the most beautiful moments on a bike I’ve ever had. All too soon, the descent was over and I was left to follow L’Arc river down the alpine valley to the junction with L’Isere, hang a right and follow that through the farmland to Albertville. I was done with the hard climbing and technical descending and got in the rhythm of putting some miles in and trying to make sure I didn’t miss the turn. (Which I did anyway, but my gps beeped at me and got me back on track). 85 miles/137 kilometers and 5,364 vertical feet/1,634 meters from where I started, I rolled to our hotel and met Jamie and a couple of other folks on the tour and had a very well deserved beer while I got to hear stories of Cadel Evens winning the time trial and shared stories of riding through 4 river valleys of France with one big hill in the middle. The best part of riding with Outfitter Bicycle Tours is that it can be a choose-your-own-adventure. The planned itinerary is great, but I got to do something I never would have attempted without having the support of Jamie and his crew. 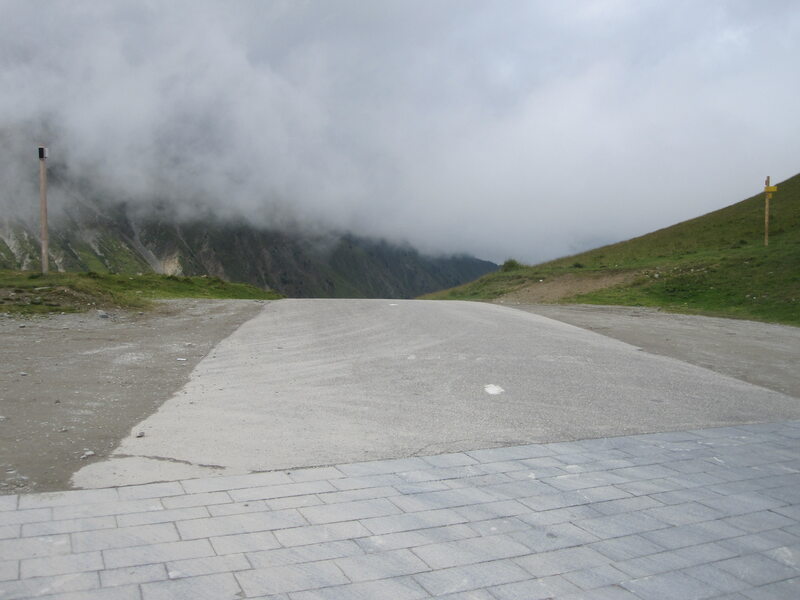 The road just drops away at the top of the Glandon.